The weakness in the dollar against some currencies overseas was on the back of a shift in investor focus to riskier assets amid hopes for a truce in the trade war. The Indian rupee extended its gains to the seventh straight day on Wednesday after India's retail inflation fell to a 19-month low of 2.05% in January. Currently, the rupee is trading 18 paise higher at 70.53/US$. On the economy front, India’s retail inflation, measured on the Consumer Price Index (CPI), eased to a 19-month low in January, helping justify the central bank’s decision to lower interest rates to stoke economic growth. The weakness in the dollar against some currencies overseas was on the back of a shift in investor focus to riskier assets amid hopes for a truce in the US-China trade war. 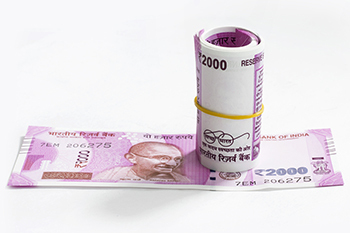 The local currency had ended 48 paise higher at a one-month high of 70.70 against the US dollar on Tuesday. In the last six sessions, the Indian currency has gained 110 paise against the American greenback. Meanwhile, the BSE Sensex was up 124 points at 36,277, while the Nifty rose 33 points at 10,864.